From time to time our body gives us signals of its internal situation, some symptoms appear and disappear without any apparent reason, and we end up not paying much attention to them. But what we should do is closely observe the signs that our body is sending us. Some symptoms may be warnings of more serious illnesses. So to prevent one of these warnings from going unnoticed, see below 8 symptoms that may arise that you need to pay more attention. Especially after the 40, shaking hands may be a sign of low blood sugar level, and you may need protein. Tremors may indicate that you are experiencing stress or anxiety, and may be consuming too much stimulant foods, such as caffeine. Only by regulating your diet and controlling the intake of stimulants, the shaking will disappear naturally. 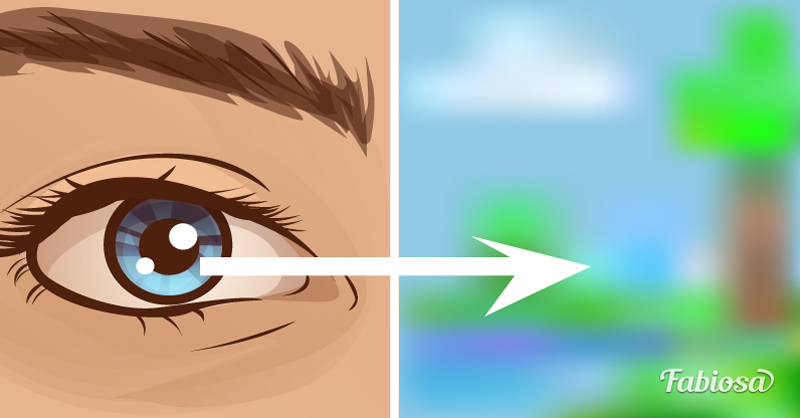 Our eye is coated with a layer of water, collagen, and hyaluronic acid. At some point in our lives, especially when we get older, the collagen can clump on the retina, forming shadows, and giving the sensation of a blurry view. It is annoying, but harmless. However, you shouldn't ignore it in case the signs worsen. 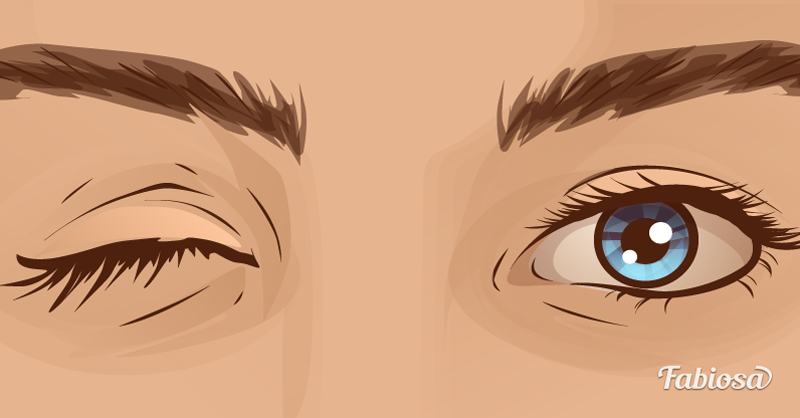 Everyone should have experienced this at least once: A repetitive, involuntary spasm of the eyelid muscles. This can be a sign of stress, fatigue, a lot of time on the computer, or excessive consumption of caffeine. Experience these symptoms for a day or two can be considered a natural occurrence, however, if it lasts for more than a week, it may be a sign that the surface of the eye is irritated. If you get to this point, consult a specialist to find out more about it. Aging comes with many problems. One of them is the wear and tear of the joints, so it is natural for your knees, ankles, shoulders to crack. If you already have severe cartilage wear in your family history, it is interesting to see a doctor to slow down the process. However, if you notice redness in the area along with the cracks, this may be a sign of an injury, in which case you should look for an orthopedist as soon as possible. No, you're not in love. 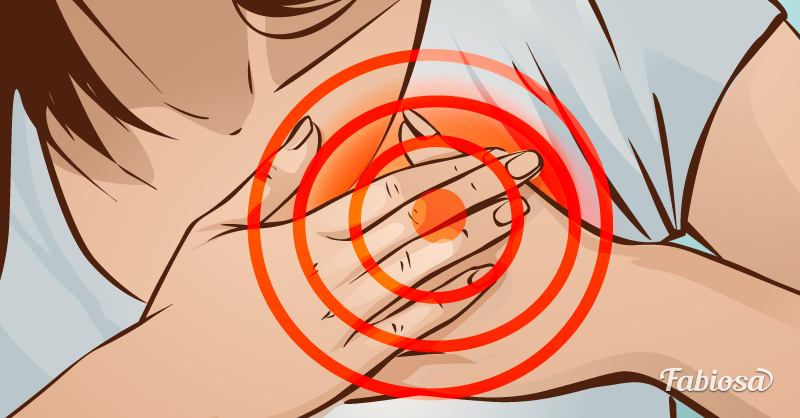 The good and old stress, anxiety, caffeine, and medications (such as antihistamines, decongestants, antidepressants, and thyroid remedies) can provoke heart palpitations. But you need to be very careful when these symptoms manifest together with shortness of breath or breathing difficulties, which may be signs of heart valve disease or arrhythmia. 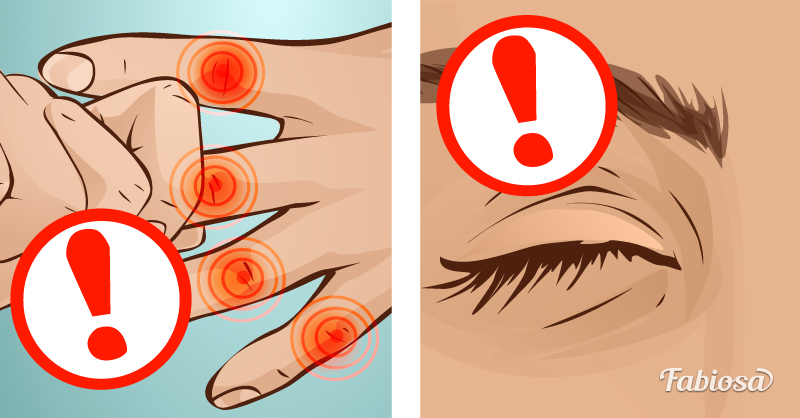 Small reddish spots can appear on the skin because of small blood vessels that are not reabsorbed. According to experts, this is normal and there is no reason to worry. 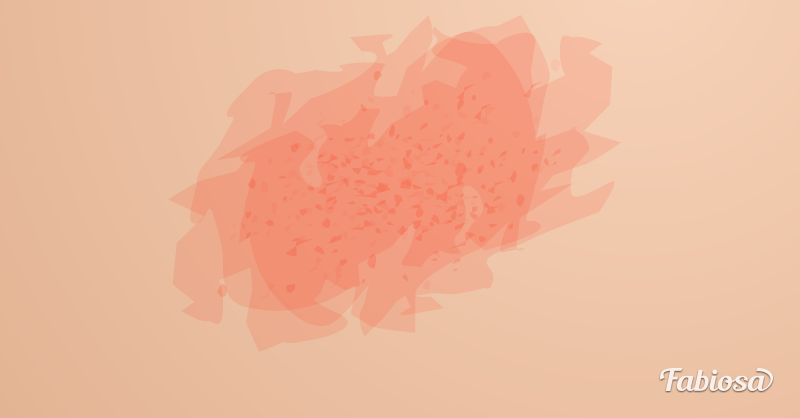 However, if you notice asymmetric spots, which change in size, shape, or color, in addition to feeling itchy and tingling, there is a chance that this spot is cancerous. The appearance of nodules is more intense according to people's hereditary propensity, and they may arise by friction with clothes, between limbs, neck, breasts, and most of the times it should not be a problem. These types of nodules are easily removed by dermatologists. When these nodules are very hard, rough, and with a different shade of skin color (more red or brown) it may be a cancer and should be analyzed with more caution. 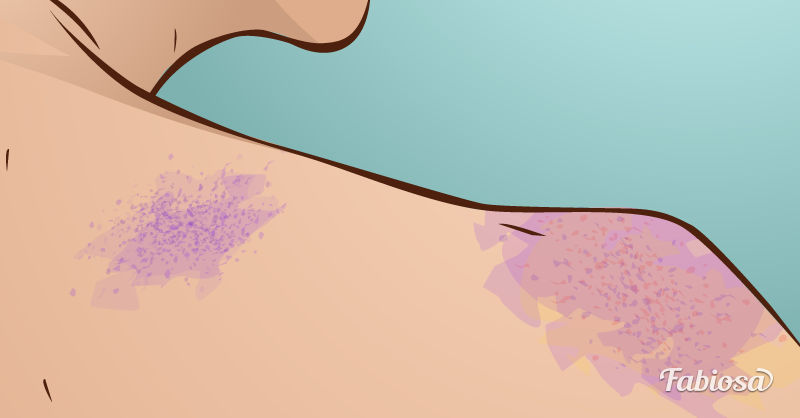 Some people bruises more easily, but many factors are involved in the appearance of "purple" on the skin; from types of medications, such as ibuprofen, to external factors, such as sun exposure. The problem is when these bruises are not related to bumps. In this case, it may be a sign of blood disorder, such as leukemia.